THE British Labour Party will not support a proposal for a second Brexit referendum due to be voted on in the House of Commons later on Thursday, the party’s Brexit spokesman Keir Starmer said. The British Parliament will later vote on a government proposal for a three-month delay to the Article 50 Brexit negotiation period if a deal is approved by March 20, and a longer delay if it is not. MPs have proposed changes to that including one, amendment H, which says a delay should be used to hold a second referendum. Starmer said Labour would support holding a public vote on any Brexit deal which is approved by parliament. Meanwhile, British Prime Minister Theresa May has piled renewed pressure on reluctant MPs to back her EU divorce deal at the third time of asking. Two weeks before Britain is due to leave the European Union, Mrs May is using the threat of a long extension to the Brexit deadline to push eurosceptic rebels in her Conservative Party to finally back her deal. That vote could come next week. Her authority hit an all-time low this week after a series of parliamentary defeats and rebellions, but finance minister Philip Hammond said her plan was back on the agenda. That plan, struck by May after two-and-a-half years of negotiations with the EU, was defeated heavily in parliament in January and again on Tuesday. “Quite a number of colleagues changed their mind on this issue between the January vote and the vote earlier this week,” Hammond told Sky News. Although the House of Commons on Wednesday voted against the prospect of a no-deal Brexit, the default position if nothing else is agreed remains that Britain will exit without a transition arrangement on March 29, a scenario business leaders warn would bring chaos to markets and supply chains. Brexit supporters say in the longer term it would allow Britain to thrive and forge trade deals across the world. Mrs May will put her deal to another vote if the circumstances are right, her spokesman said. “If it was felt that it were worthwhile to bring back a new vote, then that’s what we would do. But that’s a decision we would have to judge on circumstances at the time,” he said. European Union leaders meeting next week will consider pressing Britain to delay Brexit by at least a year to find a way through its domestic deadlock, an EU official said. “I will appeal to the EU27 to be open to a long extension if the UK finds it necessary to rethink its Brexit strategy and build consensus around it,” European Council President Donald Tusk said, referring to EU leaders who will meet May next Thursday and must agree to any extension. But there was no sign the prospect of a long delay – which could lead to Britain having closer ties to the EU than planned by May or even a second Brexit referendum – was causing a major shift in the views of pro-Brexit lawmakers who have so far thwarted May. Andrew Bridgen, a eurosceptic from May’s Conservative Party accused her of pursuing a “scorched earth” policy of destroying all other Brexit options to leave lawmakers with a choice between her deal and a delay of a year or more. Another eurosceptic Conservative lawmaker said he would not vote for her deal, even if there was a risk of a long Brexit delay. “If it’s a rancid deal, why vote for it?” Mark Francois told BBC television. 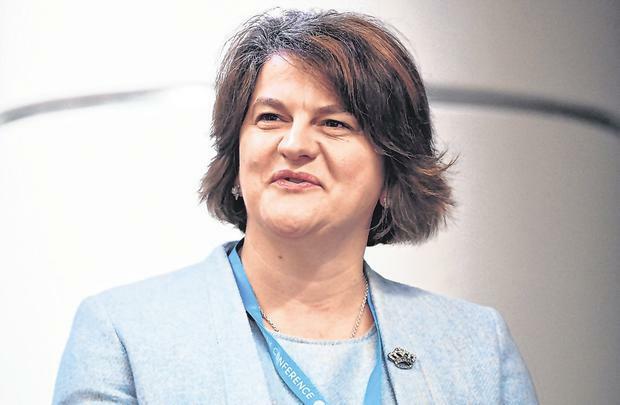 May also needs to win over the Northern Irish Democratic Unionist Party (DUP) that props up her minority government in parliament and which has so far refused to back her plan. DUP leader Arlene Foster said the party was working with the government to try to find a way of leaving the EU with a deal. 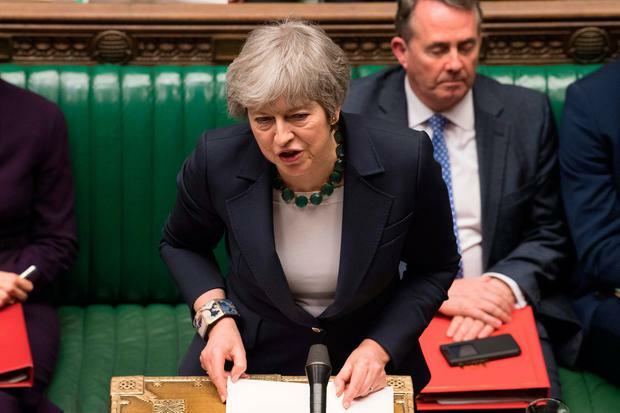 On Wednesday, parliament rejected leaving the EU without a deal, paving the way for Thursday’s vote that could delay Brexit until at least the end of June. While the motion approved by parliament has no legal force – March 29 remains the day enshrined in law that Britain will leave the EU – and ultimately may not prevent a no-deal exit, it carries considerable political force. Sterling surged, hitting nine-month highs against the U.S. dollar and a nearly two-year high against the euro, as investors saw less chance of Britain leaving the EU without a transition deal to smooth its exit. It lost some of those gains on Thursday. Although May supported the idea of ruling out a no-deal Brexit in the short term, she suffered another humiliation when – in an evening of parliamentary mayhem on Wednesday – four of her ministers disobeyed her by abstaining from a vote on an amendment which ruled out a no-deal Brexit in any circumstances. The amendment was passed by parliament.